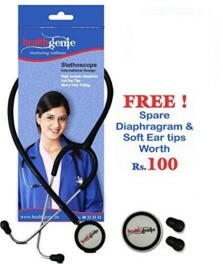 Healthgenie Cardiology Double Diaphgram Stethoscope HG-404G (Grey) is designed for cardiological purposes. 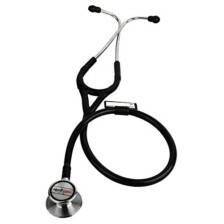 For the ones looking for an aluminum alloy based stethoscope, this is one of the best models. 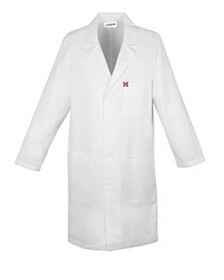 The aluminum alloy used is of premium quality which is used to make the frame and chest piece. 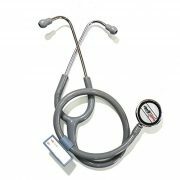 It has a single head cone-shaped chest piece, which enables you to examine your patients efficiently. 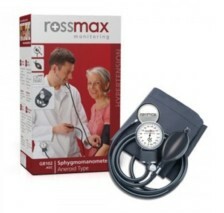 Suitable for doctors or medical students in this specific medical field. High quality PVC tubing, soft ear tips and ergonomic design, makes this model one of the most sought after stethoscope. Available in black and grey colours. It is light in weight, compact and so, it is easy to carry around. WARRANTY: Healthgenie offers a 1 year warranty.You need to login or sign up at Healthgenie’s website and create an account to activate your warranty period. This should be done within 30 days of your purchase. I bought for house hold daily use for my Mother . Good One ! Quality also good. Works Properly.